Whether you have your own caravan, require a campsite or are simply backpacking your way around the country, Port Tourist Park has your accommodation needs covered, and at competitive prices. We are a friendly Port Hedland caravan park that welcomes tourists and provides affordable accommodation options in the Pilbara. We have shady and quiet caravan sites and a spotless amenities building to make your travels comfortable. You can also catch up on your washing in our guest laundry. Port Tourist Park has a modern camp BBQ area with free gas BBQ's and seating to relax. 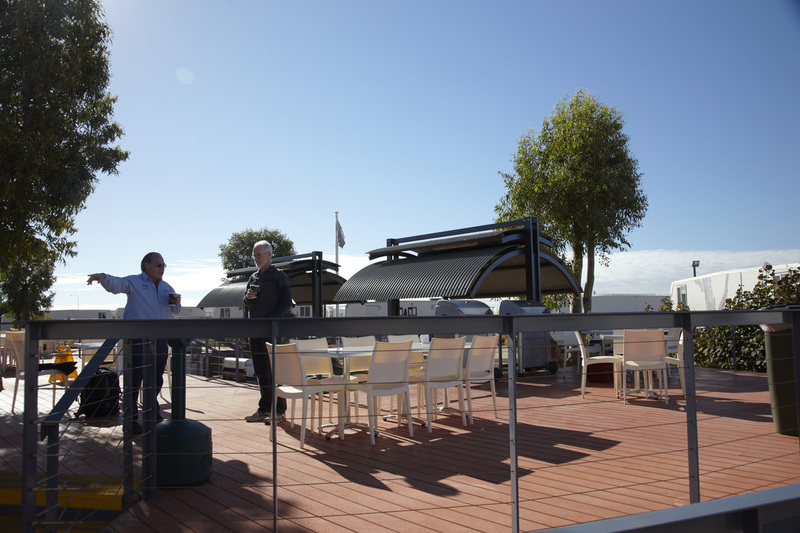 Port Tourist Park's large outdoor deck and BBQ area off The Landing Port Hedland's restaurant. 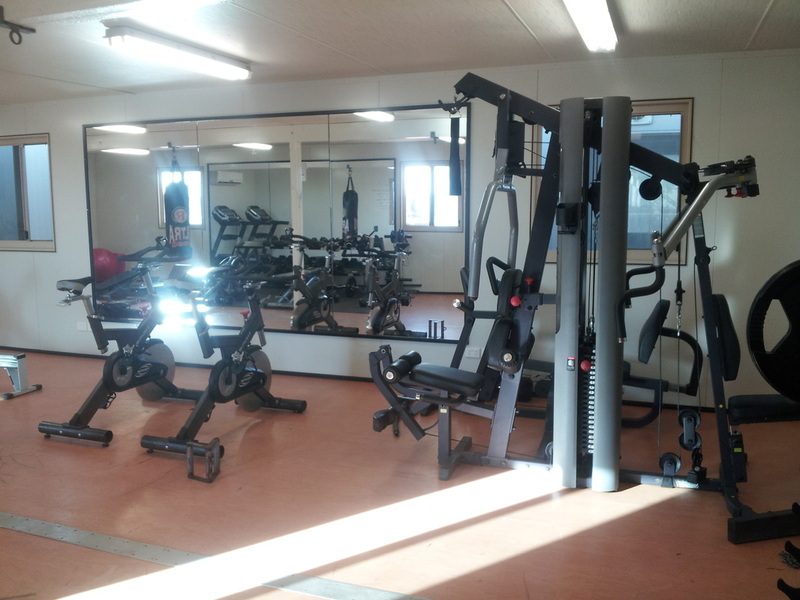 Our onsite gymnasium is modern, well equipped and free for your use while staying at the Port Tourist Park. Camping for backpackers and other tourists at the Port Tourist Park. 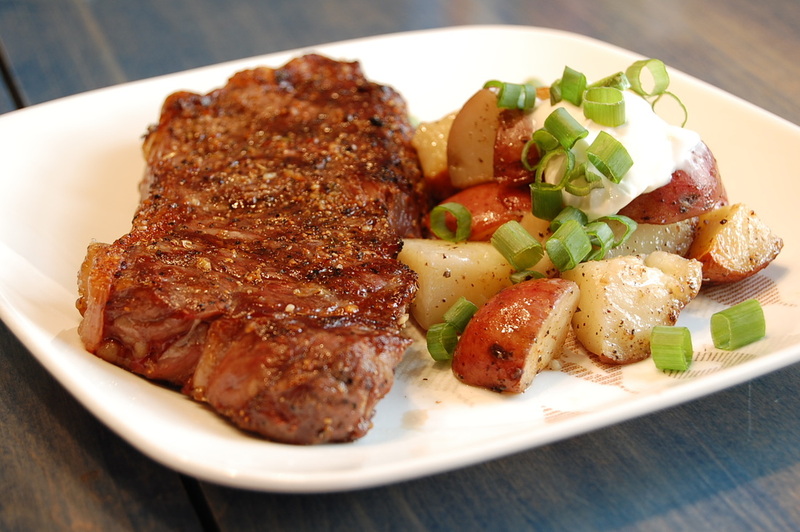 Don't let the remote location lead you astray, The Landing Port Hedland's restaurant is run by professional chefs and the food is of exceptional quality. 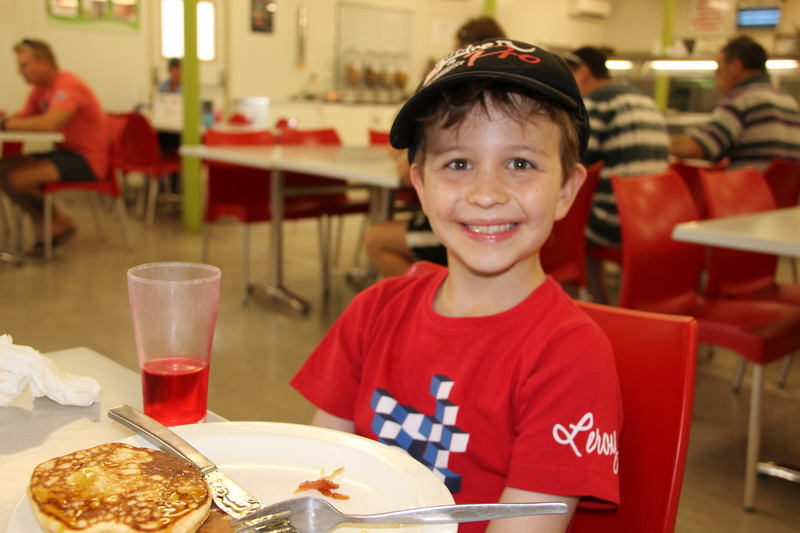 The Landing Port Hedland's restaurant provides onsite gourmet meals - tourists can experience the mining camp mess-hall while in Port Hedland.